I cannot believe this is our last week of our Reading Stash Hop. 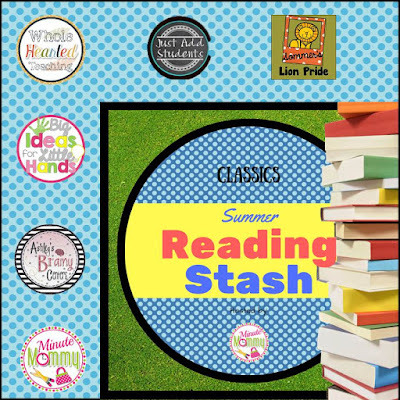 I have been having a great time sharing some amazing books with you this summer and I hope that you have found lots of books to add to your classroom library. This week we are bringing you some classics. I absolutely love teaching with classics. There is so much good literature and sometimes we skip over the classics for the newest books. But let's take a look at some amazing classics! This was one of my favorite books growing up. I think I had it memorized by 1st grade. It is still one of my favorite books to this day. And who can honestly say that they can read this book without tearing up at the end? I don't think I could. 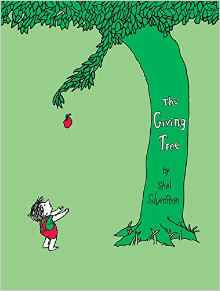 This book has so many concepts that you can teaching about caring and compassion and helping others. Great book to read at the beginning of school or during a morning meeting! I found this cute idea and absolutely love it! 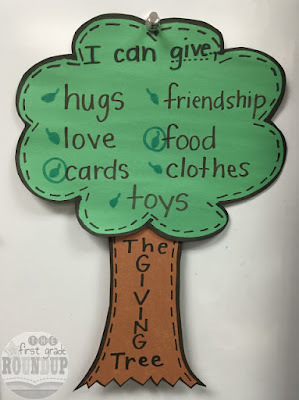 I think I want to make a big tree for our classroom about things that we can give to each other! Love this! Click the picture for more details. I love reading this story around Thanksgiving time. We discuss our nutrition unit around Thanksgiving and I always add this story in to the unit. 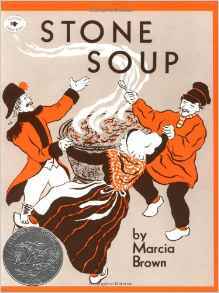 Before we read the story, we talk about our favorite soups and waht ingredients they have in them. 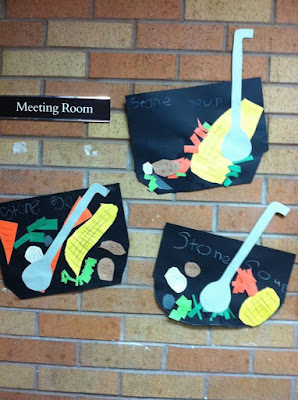 Then we read Stone Soup and we make our own soup together as a class. 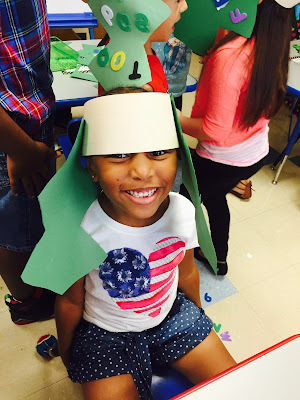 I found this cute craft and may have to add this to my lesson too. Check it out below! 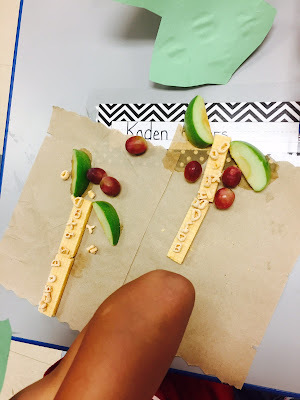 This is such a fun story to teach about the letters. It's a fun rhyme and the kids catch on quick and you will hear them reciting the story over and over. 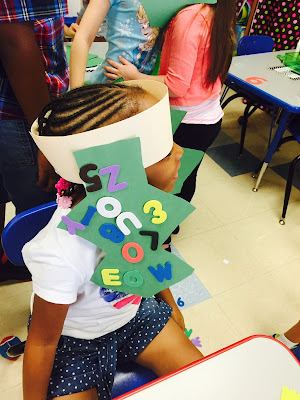 At the beginning of the school year, we learn one letter a day in an ABC Bootcamp. 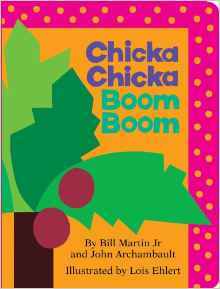 After we have learned all 26 letters, we have a big Chicka Chicka Boom Boom Day and celebrate learning all of our letters. We make these adorable Chicka Chicka Boom Boom trees for a snack and these cute hats to wear. This is a day that I love doing and such a fun way to celebrate all that the students have learned! Hello internet. Julie asked me to pick the classic kindergarten book that I loved most and I couldn't not pick this classic that share my dad and my first name. I probably read it 500 times between my 1st and 5th grade years because it captured my imagination about living literally larger than life. 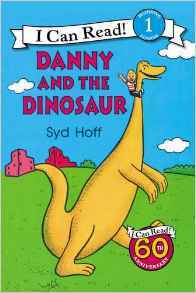 I bet at least half of your kinders want a friendly dinosaur to walk them home every day.. Thanks babe! I think he is a keeper :) My kids love learning about Dinosaurs! It's probably one of their favorite topics all year! There are so many things that we do with Dinosaurs but I'll try to pick our favorite. We love measuring dinosaur feet and seeing how big dinosaurs were. Check it out below. 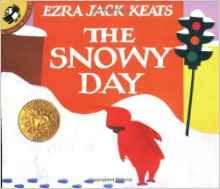 I love reading this story when we have our first snowfall. We do not get snow that often so when we do it is a very big deal! This story is about a boy who goes outside in the snow and does different activities in the snow. We always talk about things that we like to do in the snow and compare what we like to do in the snow to things that Peter likes to do in the snow. 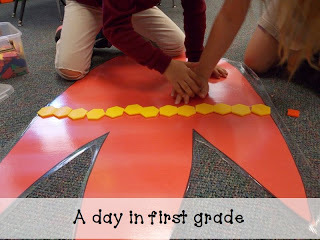 After we make our list, we make this cute Peter craft and put our text to self connection at the bottom. This idea came from Deanna Jump. I hope you have found some great books during our summer hop. Now head on over to Just Add Students for some more great classics! And head on over to Katie's page to thank her for hosting this amazing hop!!! To end our Reading Hop with a bang, we are also hosting an amazing gift card giveaway! Enter below!! !